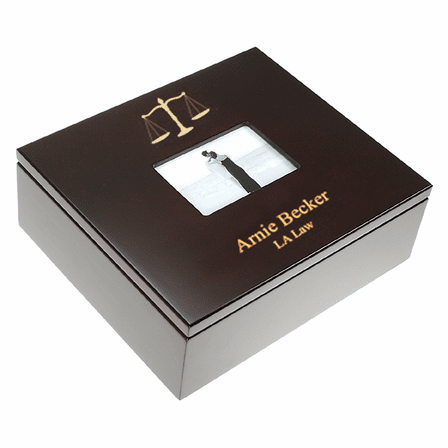 FEATURES/SPECS Help your favorite judge, lawyer or paralegal keep their office space organized with this customized legal theme keepsake box. 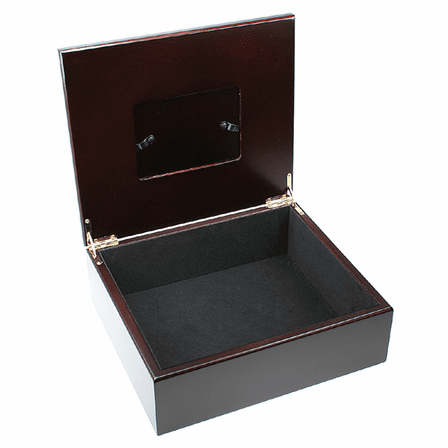 Made of cherry wood, it has a spacious velvet lined interior that has plenty of room for photos, papers or small accessories like staples and paper clips. 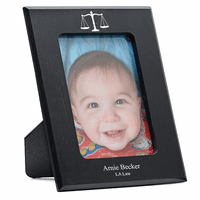 The lid has a unique photo frame center that holds a 4" x 2 3/4" picture behind a protective lens. 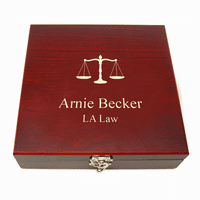 Below that, this customized treasure box comes with the legal scales emblem laser engraved right into the wood and your own personal inscription engraved below that. 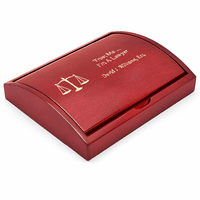 It is a personal and thoughtful gift any legal mind will be sure to love. 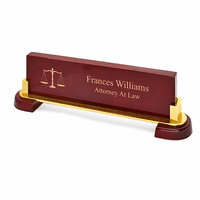 This is a great gift, however slight larger than what I expected. 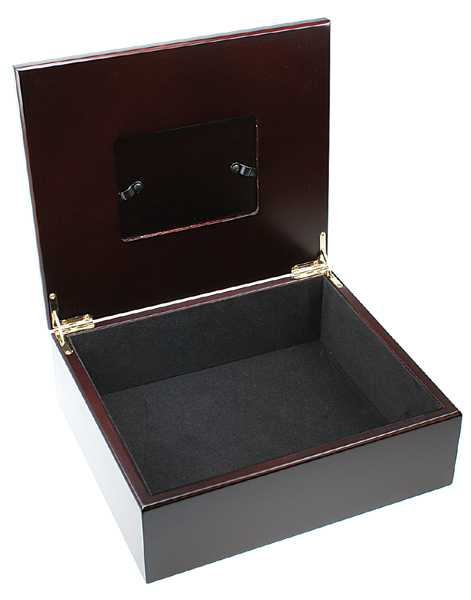 Also, when the box arrived, it was chipped on both ends and one of the ends had actually been glued back on. I called and spoke to Pete, who was awesome. 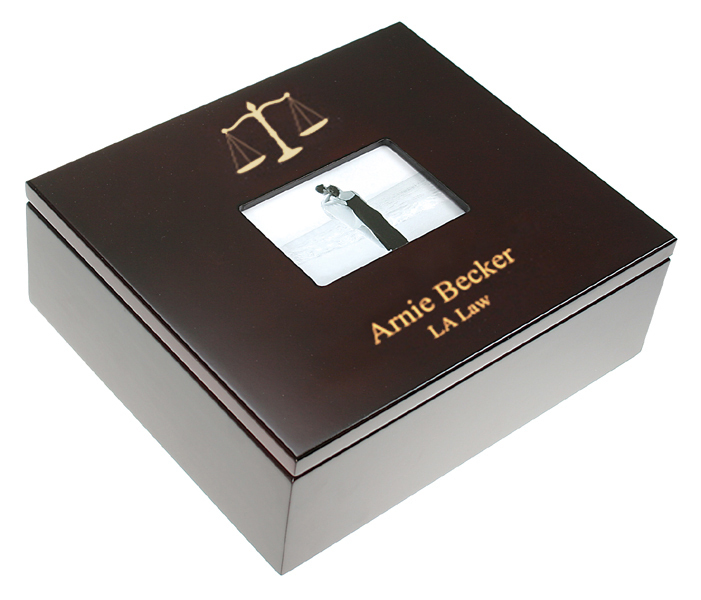 He immediately requested a new order and the second shipment was perfect along with the engraving. Thanks to Pete!